Powering East – Run. Ride. Roam. OK, first things first, we set a new record today for the longest single ride. We rode 75km today from Arromanches to Deauville. We packed up from our base camp in Arromanches in mist and drizzle and a chill in the air. 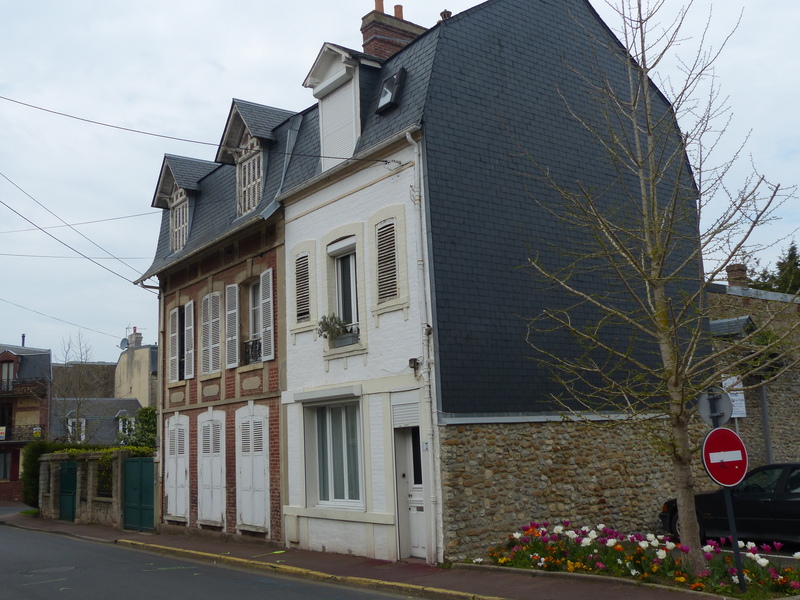 My first worry was getting up the hill that would take us out of Arromanches. I’ve been thinking about this hill for two days, because I remember zipping down it on arrival. I don’t know why I have such worries about hills, considering what we’ve tackled in Portugal and Spain and managed to get up them all, but I still completely and utterly worry and doubt my ability to ride any hill, so I stress over them if I know they’re coming up! 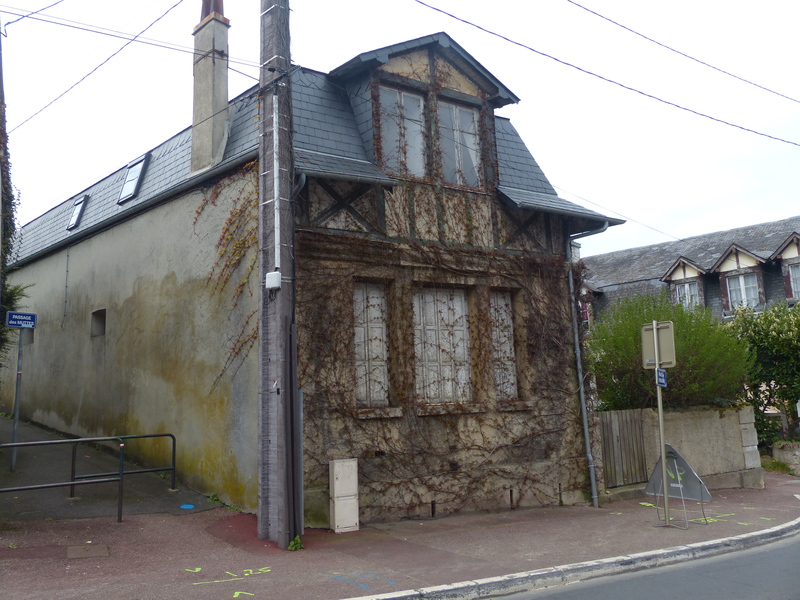 Anyway, we rode through the village of Arromanches, turned the corner and there it was…the sweeping hill…I hit the pedals and cranked the gears and pushed on, and…what d’you know…I made it up the darn thing! So I guess the sleepless night was unnecessary this time! We headed back along a similar route to the one we had ridden a couple of days ago, but stuck to the roads and went through the villages, rather than hugging the beaches. The scenery took on a different tone, set against the grey sky and in the haze of the low mist and drizzle. A couple of days ago we saw it against a clear blue sky and in brilliant sunshine, so there was something quite ethereal about seeing the villages set against this new colour palette. At Hermanville-sur-Mer we stopped to take a photo of a quite unique memorial. When the forces landed on D-Day, many of them were carrying loads of bikes, to make their advance through the countryside easier. 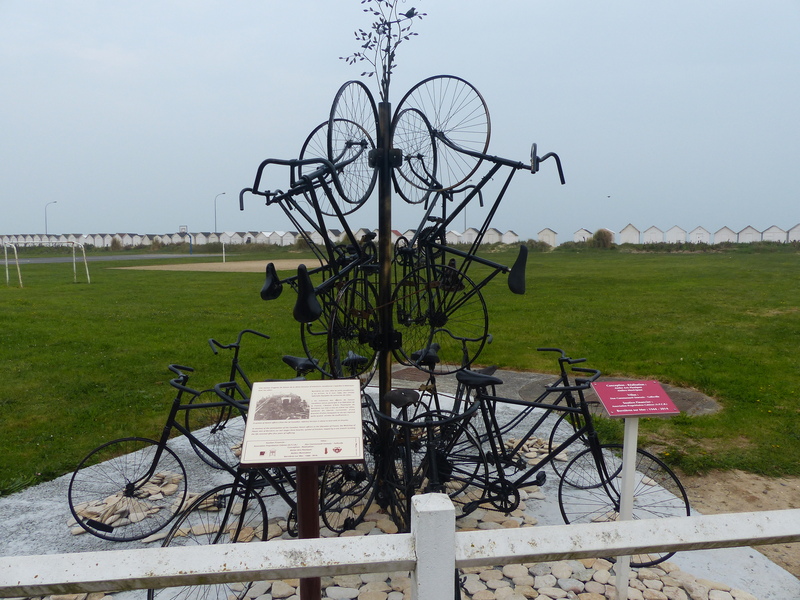 This memorial is a collection of those bikes. 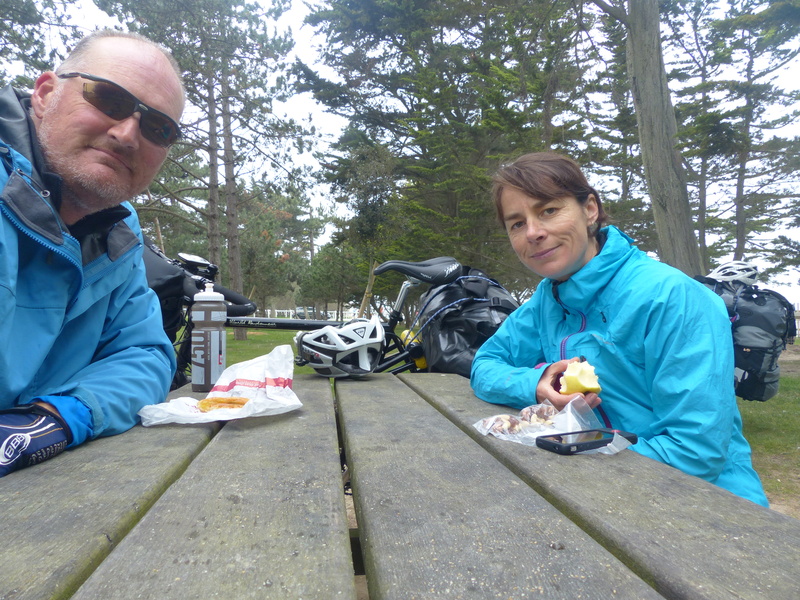 We made pretty good time and about 30km later arrived on Ouistreham where we stopped for elevenses. This is the town we will return to in a month or so, to catch the ferry over to England and there was a ferry in port, so we could have a look at what we would be sailing on when we change countries again. 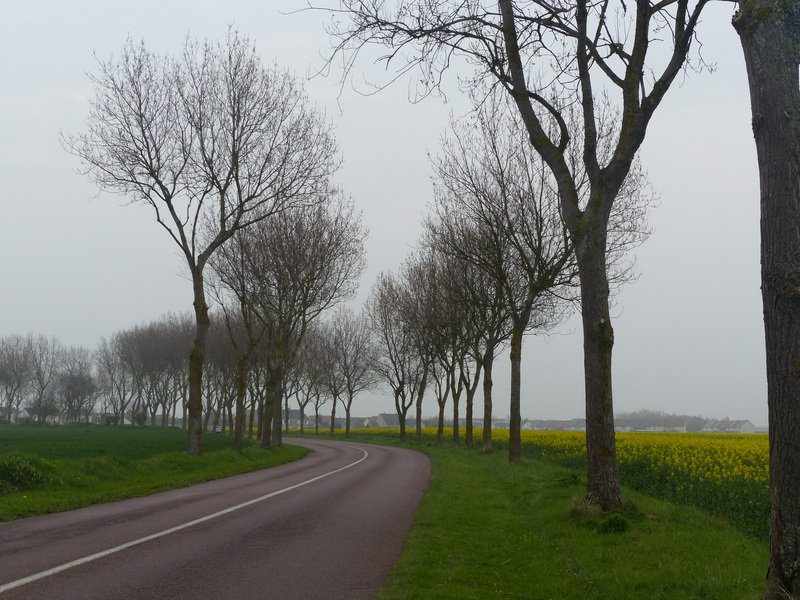 From Ouistreham, we were once again cycling on new territory, pedalling on new and unfamiliar roads and routes. To get out of Ouistreham, we had to cross the river, which gave us our first “That doesn’t make sense” moment for the day. 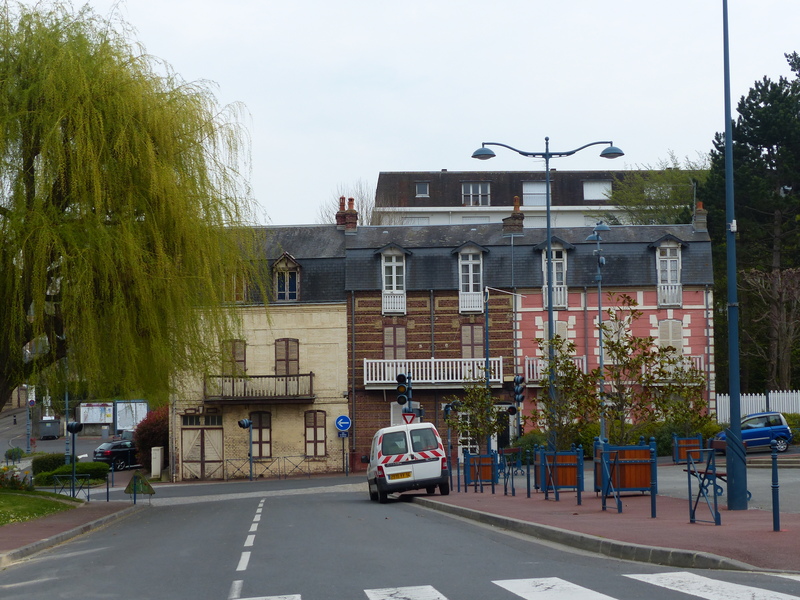 We crossed the river pretty much level with the ferry terminal, then the road took us along the river and then double backed and took us back towards Ouistreham again, where we ended up about level with the ferry again, but on the other side of the river. We had ridden 10km for an advance of about 1km! Before you wonder and snigger…no this was not an example of our abysmal navigation, this was actually what the road did! We eventually got going in a direction that would actually help us make progress, after the seemingly pointless and circuitous route that was obviously designed by a road designer or engineer after he’d had a long night on the turps or just had a very strange sense of humour, or who didn’t actually pass road engineering school and fudged his resume to get a job and didn’t actually know what he was doing. As we rode out of the town, we passed a group of travellers who had set up home on the side of the road. It was one of those moments that I really wish I could have taken photos (but that would have been snooping and disrespectful) or been able to talk to them about their life, because I have not yet seen or met a group of travellers. They had the caravan / wagons that you’d imagine they would, their horses were tethered and grazing in a nearby field and a man and a boy were sitting beside a fire weaving grass into something. It looked like something from a book and just another scene from France that was very memorable. Not long after passing the travellers, we saw a sign for a cycle path, which was that little green cycling man icon again. “Will we go on the road, or the cycle path?” asked Steve, since the road was quite busy. “The bike path I guess,” I replied. “Although I don’t know that I trust the green man any more after he took us up that 18% hill,” I added. I was right to doubt that little green fella, because after we’d gone a ways along the path, we were faced with a Route Barre sign and a detour sign, with a now little yellow cycling man, who must be the colour for a temporary detoured route. Well, that little yellow bloke took us along a bumpy track and knobbly grass and up a steep hill and eventually to an intersection with the main road again. The sign told us to cross the main road and continue on our bike route. Nope, we decided to ditch the little cycling man, who seemed intent on making life difficult for us, and we returned to the main road. Well, the road gave us our share of hills on the route to Deauville. There was one in particular that was a doozy and just went on and on and on, steep and with lots of corners. I would see a corner up ahead and think, ‘right, after this corner it must level out’, but nooooo, that hill kept on going and those corners added another level of steep to the already steep climb. Oh, look! I can see the top, I can see it start to level out now, I can actually see it this time, just at the top of that corner…noooo, it didn’t! It kept going, that darn tricky hill…what a trickster it was, it wasn’t going to level out until it had given us a darn good workout and whipping! After much puffing and ‘get it done’ sort of self-talk in the head, the little bike and me got to the top. We had a few hills like that and when you hit a tricky hill at the 40km mark, it’s a bit of a challenge, but when you hit one at the 68km mark, well the legs don’t have quite as much pep, to get up those tricky long and high bumps in the road! We did manage to get up all of them though, although the legs were burning! The weather had really turned quite chilly now, with a wind and drizzle and I have to say I was mightily freezing. No, I’m not complaining, because I said we weren’t to do that, so this is not a moan, it is merely a weather report. It was chilly and every layer I had on was soaking wet from the exertion of getting up the hills, so then riding into a cold wind, I was shivering and shaking and very very cold. We had a pitstop in mind at Deauville but had said we would stop earlier if the weather was dodgy and we’d play it by ear and see how we felt. 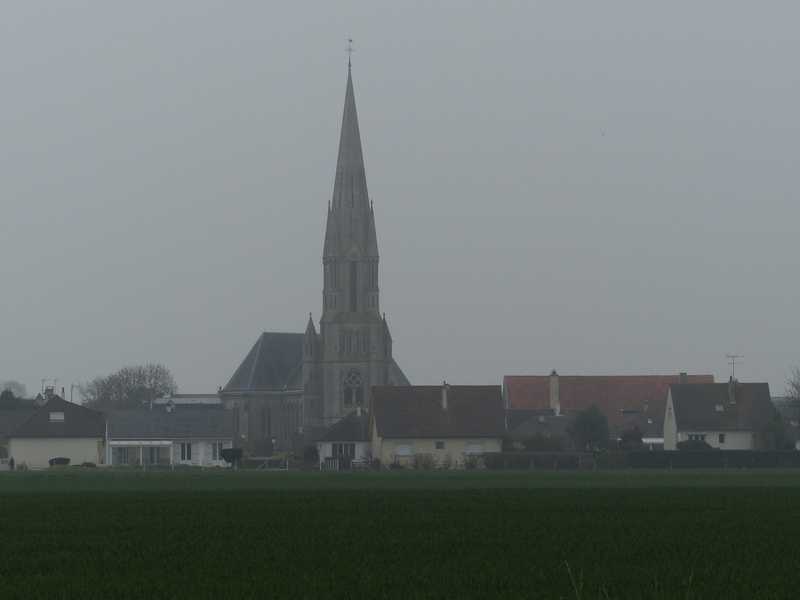 We stopped in the nice little village of Villers-sur-Mer, to take some photos and I mentioned to Steve how cold I was. He said we’d stop where we were and find somewhere to stay. The thing is though, I don’t want any changes to what we’re doing to be because of me or for it to look like I can’t do whatever’s needed, so even though I could think of nothing else but a hot shower and a hot drink to thaw me out and I was shaking so much you could have thrown me in a tub of water and added a load of washing and my shivering would have sloshed that water around so much it would have given your load a perfect wash, I didn’t want to be the reason we didn’t make it to our planned pitstop. I also really wanted to finish the record distance. It was very tempting to find somewhere warm there and then though! Instead, I threw on my puffer jacket to add yet another layer and on we went. No complaining, no moaning, just getting it done! 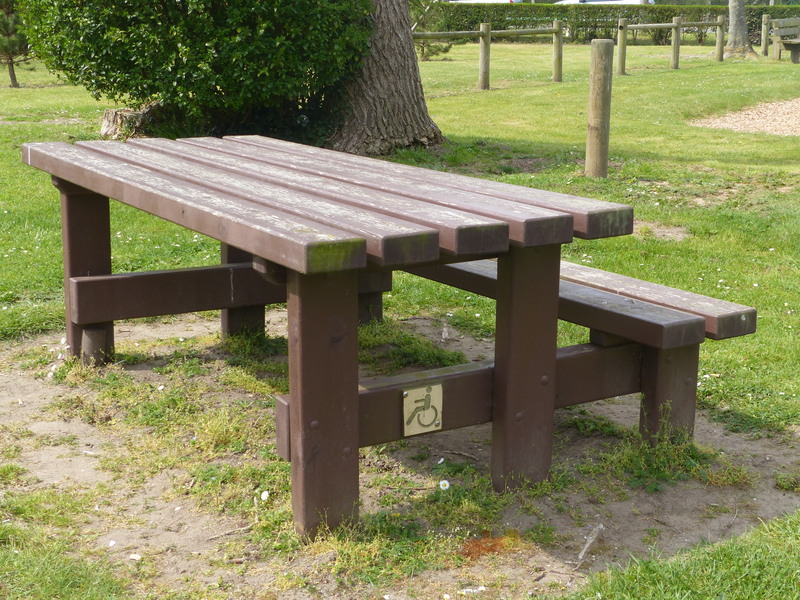 …a picnic table with wheelchair access. I thought that was great. It did occur to me though, that if we think enough of inclusion to provide a picnic table with wheelchair access, why can’t we provide some more wheel-friendly access at train stations and help people with wheels avoid all those difficult flights of stairs! 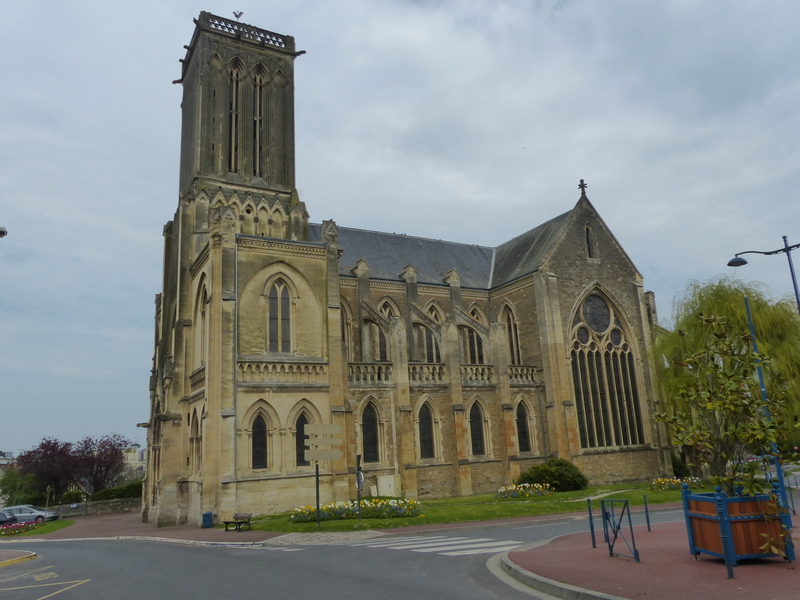 We eventually rode into Deauville and we did indeed achieve our record ride of 75km, despite the nippy weather and the tricky hills. So here we are and I was able to thaw out and I’m glad we kept going. 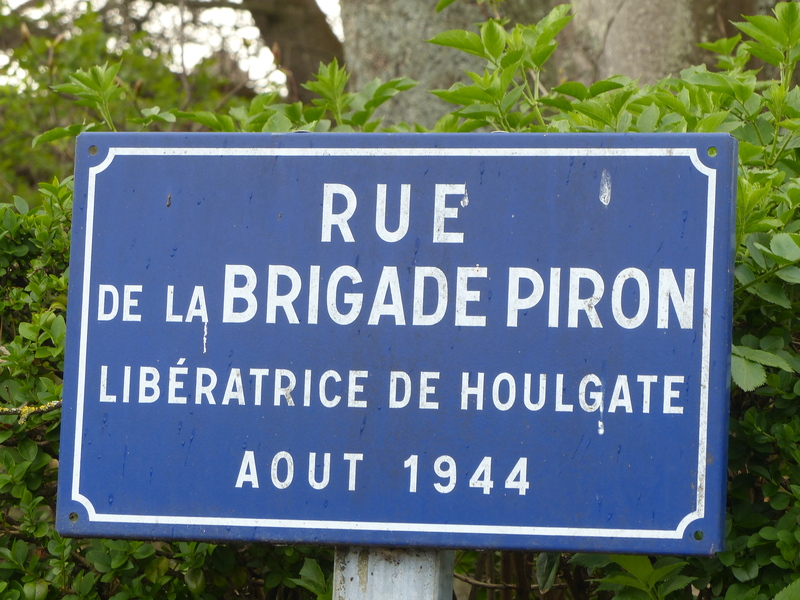 Getting distances like that under our belt, make riding the whole way to Peronne ready for Anzac Day in a week’s time, seem a little more achievable. So today’s ride was long and hilly and chilly. Steve actually said, “I thought we were back in Spain, with those hills!” Nevertheless, we got up them all. I worried and stressed as I started at the bottom of each one, but somehow managed to get the little bike up to the top with furious pedalling and avoiding wobbling into any traffic. So as we go on, I will continue to remember the history of the region here and what was endured and remind myself that what I am experiencing doesn’t even rate a mention on a scale of challenge or discomfort, hence the ban on moaning or complaining. I’ll still shiver and shake and huff and puff and worry a bit here and there though…I’m allowed a bit of that aren’t I!? Annette, thank you so much for your comment and thank you for following the blog. It’s wonderful to have someone from Omaha NE along for the ride with us! I’m glad you’re enjoying our accounts so far and thank you again for being part of it. Holy Moly Heidi – you sure are one determined lady!! Well done for keeping going and your new record – you sure are made of tough stuff 🙂 I am assuming your ankle is not giving any trouble?? Amazing how different weather can make the same places feel so different. Thanks Jan, although I don’t feel like I’m made of tough stuff! The ankle is OK on the bike, although it niggles when I run, which I’m blaming the bike for because the bike isn’t so good for my dodgy wonky hips, which flows don’t the chain to niggle my ankles. Oh well, I’m just put together like a bit of a dog’s breakfast!